Montessori – it’s one of those words that seems to be thrown around a lot these days. Montessori is mentioned so much that many of us may feel too embarrassed to ask what it actually means. Montessori may even feel like one of those oh-so-fashionable terms – like detox or bespoke — a term carelessly coined by self-conscious trendsetters, that on closer inspection actually means very little. So is Montessori little more than a marketing ploy? Another empty buzzword that sounds legitimate but is ultimately as hallow as a product that screams organic on its labelling but is actually stuffed full of laboratory-made chemicals. No, Montessori certainly is not. Far from being an empty marketing word, Montessori is in-fact, a research-backed method of education that has been used for over 100 years. Foxlodge Manor Montessori & Playschool uses the Montessori Method in their charming pre-school, daycare and after-school facility. “The Montessori teaching methodology is a child-centred educational approach based on scientific observations of how children, play and interact with each other and the world around them,” says Paula Holohan from Foxlodge Manor Montessori & Playschool. So what does Montessori actually mean? So Montessori has got the scientific credibility, but what does it actually mean? Simply put, Montessori attests that all children are naturally curious and hungry for knowledge. Furthermore, it states that this natural curiosity can be stoked in a thoughtfully prepared learning environment. Have you ever asked yourself why classrooms are covered in world maps, colour charts and plural guides? Well, you have the Montessori method to thank. A method that states children learn better in an intellectually stimulating environment. Montessori classrooms encourage freedom of movement, uninterrupted blocks of work time and making stimulating, engaging and educational activities within the reach of the child. 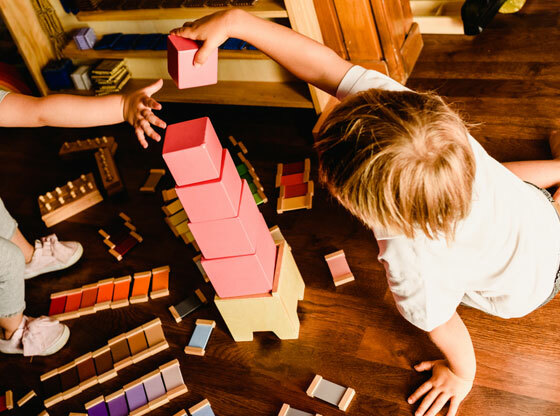 Parents can be assured that when an educational institution — like Foxlodge Manor Montessori & Playschool — subscribes to the Montessori methodology, their children are going to receive a firm educational foundation, that will serve them well in later life.